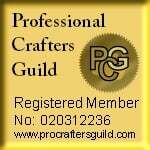 A lavender 126 x 178mm card matted with foiled and embossed paper on purple mirror card, trimmed with a matching border. 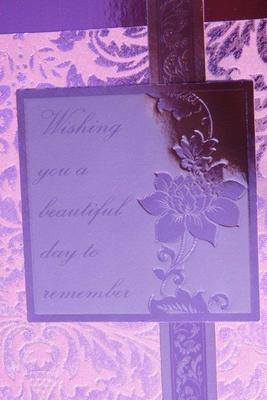 The foiled greeting reads 'Wishing you a day to remember'. The message on the paper insert reads 'With love', but this can be changed to suit your requirements. This card comes with a tissue-lined box trimmed with a matching border. Please see previous item if you do not require a box.